It’s finally here! Well, in a few more excruciating days, New Yorkers will be able to hop on a bright blue City Bike and cruise through the city (or at least those 12,000 or so founding members, the rest of us will have to wait one more week). While some locals haven’t taken to the alien bike docking stations popping up on city streets quite yet, it appears that the vast majority of the city is ready to roll. With the docking stations in place, crews are now distributing bikes. 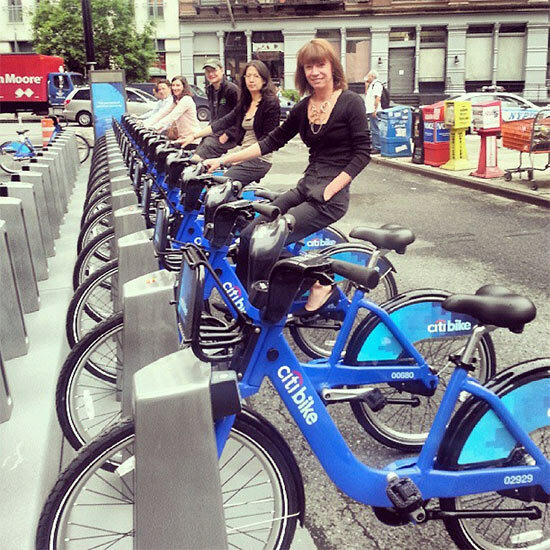 According to a tweet from the NYC DOT this afternoon, some 850 bikes have already been docked around the city, and Transportation Commissioner Janette Sadik-Khan and a few of the bike share team took the opportunity to pose on some of the bikes today. The official opening day is May 27.